Fears of a new speculative boom on which the global recovery rides are being expressed in different circles. 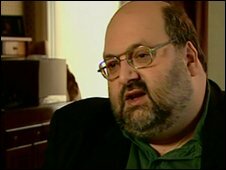 There are as many aspects to these fears as there are to the so-called recovery, which include the huge profits being recorded by some major banking firms, the surge in capital flows to emerging markets, the speculative rise in stock markets’ values worldwide and the property boom in much of Asia. Potential victims of the reversal of this boom, however, now complain that the source of it all is a return in the US to a policy of easy money — involving huge liquidity infusions and extremely low interest rates — to save the financial system and real economy from collapse, while resorting to a fiscal stimulus to trigger a recovery. A similar policy was and is being adopted by many other countries, even if not with the same intensity in all cases, but the US, which was home to the most toxic assets and damaged banks, led by a long margin. The US unemployment rate fell in November to 10% from 10.2% in October, Labor Department figures show. Employers in November cut the lowest number of jobs since the recession began in December 2007. In all, 11,000 jobs went over the month. That was far fewer than the 130,000 expected by most analysts. President Barack Obama said the figures were “good news”, but warned that there were “more bumps in the road to economic recovery”. “There is a lot more to do before we can celebrate… good trends don’t pay the rent,” he said. For an economy the size of the US, the change was so small that the Labor Department described employment as “essentially unchanged”. In further good news for the US economy, factory orders rose by 0.6% in October, Commerce Department figures showed. Analysts had expected orders to remain unchanged. The good data pushed the dollar higher against major currencies. Highway-construction companies around the country, having completed the mostly small projects paid for by the federal economic-stimulus package, are starting to see their business run aground, an ominous sign for the nation’s weak employment picture. Tim Word, vice president of Dean Word Co., a heavy-construction company in New Braunfels, Texas, said his income is now coming mostly from projects that are winding up. He said that in normal times he has about $100 million of signed contracts in hand. But that number has fallen to $30 million, and the pipeline is empty. In the past two years, his work force has shrunk nearly 40% to 260 from 420. Will Dodd’s Bipartisan Push on Financial Reform Pay Dividends? 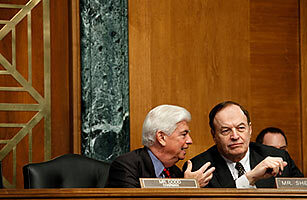 Two weeks ago, Senate Banking Committee chairman Chris Dodd unveiled an ambitious, far-reaching plan to reform regulation of America’s financial system and quickly found himself facing a brick wall of opposition erected by Republicans, regulators and financial-industry bigwigs. Now he’s trying to work with Republicans to get the thing moving again.